Cougar Chow is WEDNESDay, APRIL 24th! 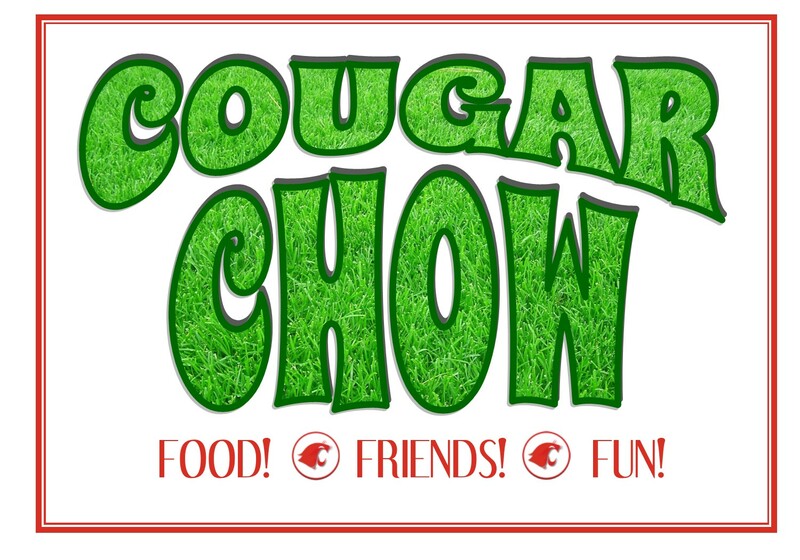 Cougar Chow will occur during lunch on April 24th. The students of Clark High School will have an amazing extended lunch outdoors enjoying local restaurants at food booths set up carnival style and a DJ playing music providing entertainment. Tickets will be sold for $1.00 each. Parents can conveniently purchase tickets online from Monday, March 25th to Sunday, April 21st. Online tickets will be available for pickup in the cafeteria during lunch on April 19th, April 22nd, and April 23rd. Tickets can also be purchased in the cafeteria for cash on Wednesday, April 17th, Thursday, April 18th, and Tuesday, April 23rd, as well as during the event on Wednesday, April 24th. It is recommended that students purchase between $10-$15 worth of tickets to eat, drink, participate in raffle prizes, and dunk their teachers! We will have several food vendors and fans providing food for our students this day. Please see below for a detailed list of food and cost for the day. *Students are not required to purchase or go to Cougar Chow. Regular lunches will run in the cafeteria for those students that would prefer to stay inside.